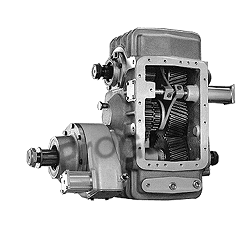 Established in 1999, Global Transfer Case Supply from Pro Gear & Transmission Inc. offers the finest in new, rebuilt and used transfer cases and drivetrains for: Allison, Eaton, Mack, Fuller, Rockwell, Spicer, Roadranger, Meritor, ZF and much more! We have been shipping PTOs, Rebuild Kits, Axles, Transmissions, Transfer cases, Shaft, Spindle, and more to customers worldwide. Call our award winning sales department for a quote today! Visit our web store to view transfer cases, parts and accessories for sale, if you don’t find what you’re looking for or need assistance, contact us or call us Monday through Friday 8AM to 5PM EST at 877-776-4600 or 407-872-1901.